Very deserving winners of the "You Rock" award! Alex, you made me cry. Thank you from the bottom of my heart for this. And the other bloggers you have honored, Suze and Elizabeth are close blogging buddies and so deserving of this, but now I will make sure to go meet the ones I don't know yet. Have a blessed week and lovely time off. Great Mojo. You Rock award are well deserved. I'm hearing so many good things about the new X-men film. I'm hoping I'll get to watch it next week! Fantastic choices for the You Rock award. Thanks, too, for reminding me of the X-Men movie! My husband was bummed when our son went with a friend to Godzilla this weekend, so he'll be glad to know there's another good movie for them to go see. We've had company over this weekend, including young children, so no X-Men yet. We've still got to check out Godzilla. Yay! I'm so glad you have such a positive reaction to the latest X-Men movie! We're going to watch it this week, and I can't wait! Congratulations to all the authors. And congratulations to the winners of the awards, I shall pay them a visit. They all sound very interesting. I am just starting to know Tina better. I can't speak for the others, but Tina is pretty damn awesome. We're both really glad we've gotten to know her more over the past year. Enjoy that vacation! I know we sure are (separately). Congratulations to the talented people who've received this award. I am terribly proud of mine. Two strangers spar over humorous lines and become friends, I think. Thank you, Alex, for honoring me in the past. Sorry I scared you this morning. X-Men Days of Future Past was awesome. I went to see it yesterday in the cinema, and it was definitely well worth it. The question I have now is, does Wolverine still have metal claws? Guess I'll just have to wait and see. New books, new movie, awards, and a lot of places to visit. This will be a busy day. Congratulations, all. Have a happy holiday. Congratulations to all the Rock recipients. Definitely some awesome bloggers and authors. Congrats also to those with books just out. As for the X Men movie I had been wondering what you thought of it. Sounds like a 'must see'. Wishing you and your family a Happy Memorial Day. Elizabeth, you're welcome, and thanks for sticking with me for so long. Tell your husband to go see X-Men. Brandon and Bryan, yes, on par with Captain America! And Tina is a wonderful person. Gail, one day we should return to sparring over those images and words! Madeline, sometimes we just have to take time to chill. Imogen, I believe he does. I saw some of the stars interviewed on GMA last week. I would certainly like to see the movie. Unlikely to see it in the theatre though. Too many books not enough time. Glad to see Tina with an award she certainly does rock. I'm sure I'll watch the new X men piece. Most of the movies have been entertaining. I have conflict with the X-men film, I enjoyed it... so many unanswered questions, that have been hanging with me since I had seen it. I will address it in some time. You Rock Awards... great group of awesome friends/family. Have a safe time away, I am on leave until following Wednesday... ghost posting as normal. I've been wanting to see X-Men all weekend. Hopefully, I will get there soon. with some other interesting stories. I have been looking forward to this X-Men movie for a long time (since I heard about it...). Congrats to all of the You Rock bloggers. I saw Karen's comment above. I do believe that you touched her heart. saw it friday, and it is cool...the quiksilver scene was funny, but stands outside the rest of the movie---was the feel i got...it was epic...i still say captain america was a better flick, but i really enjoyed this one...and jeans back! ha. Mason, a must see in the theaters, that's for sure. Jeremy, my wife had a list of questions after we left the theater. Fortunately I was able to answer most of them for her. Enjoy your time away! Robin, I think I did. Brian, the reboot opened both ends, didn't it? I've seen photos from the next one and it's the younger set in the next film. Thanks for the list of You Rock bloggers! I love to see the way the blogging world keeps expanding and growing! Wow, Alex, I'm blown away and honored to be part of such an elite group of bloggers. Thanks for your kind words. I'm so glad to be counted as your friend, and for the friendship (brother/sisterhood) we share. YOUR ROCK my dear. Thanks so much! Thanks for the shout and enjoy getting away at your bay. X-men was great, Quicksilver was surprisingly good too. It's right up there with some of the best superhero movies, still Avengers tops it for me. Plus the whole Beast hulk wannabe thing was kinda meh if I had to point out something. The stories merge past and future with the present are difficult to create to have consistency! Having a fun vacation, I hope. Glad they are still making some good X-men movies. Might have to see that one. I hope you get some writing done, too! I am so happy to hear they have done a good job on the X men reboot. I am now very excited to see this movie! Thank you--I trust your taste in movies. I am very particular and don't have time to waste on bad movies so it is great to have someone like you to count on. Congrats to the recipients of your wonderful award! They must be very special people! Glad to hear X Men was so good. The Hubby will see it on DVD as he can't go to the cinema anymore. Enjoy your holiday and forget about blogger! I am so tempted to see this X-Men movie even though I dont follow the franchise at all. I'll catch it eventually. My family had a bday party for my youngest daughter yesterday. She'll be 2yrs old soon. Today we're cleaning and chilling. Hope you enjoy your vacation and the remainder of this 3-day weekend. Congrats to all the "You Rock" award winners! Congrats to all the You Rock bloggers! Well deserved. Wow, Alex. This was so kind of you-- and I have your back too, any time you need a friend. You do so much for the blogging community-- I can't imagine blogiverse without you! Just back from watching X-men-- it had me gobsmacked :). Enjoy the break, you absolutely deserve it. They totally pulled a Star Trek move to revamp that series, and I love it. Also, Quicksilver in the kitchen...Best. Scene. Ever. Thank you for including me in the Ninja News! And I am sooo far behind on movies. I'm still waiting to see WInter Soldier. And I'm going to have to go check out your blogger buddies. I'm always looking for great new blogs! Enjoy your time off! I agree with you about it being the best X-men so far, but as a comic fan it still just left me wondering if Brian Singer gets this genre at all? Oh well still a good movie. Blogger friends should be celebrated! Writers like to talk and discuss at some point. . . The X-men movie sounds good. I'll have to see it. Deserving winners of the 'You Rock' award. I have to see the X-men movie, have heard so much about it. Congrats to all the winners & thanks a million for the shout out! Happy Memorial Day! I haven't seen Captain America: Winter Soldier yet, but I sure want to see it. I'm happy to hear the XMen movie was a good one too. Tina, you are welcome my rocking sister! Leovi, they did it well though. Jean, I'll try not to steer you wrong. Anne, I will forget! Just four days though. Chris, happy cleaning and hope it was a good day for your daughter. Damy, you are most welcome! And that's an excellent way of describing the X-Men movie. Ilima, wasn't that an awesome scene? Kat, you're welcome, and meant to do it sooner. Brandon, I guess it's fortunate I don't follow the comics at all. Crap, there were six new comments while I was trying to comment! Suze, that's awesome!!! And you are very welcome. I'm a little more ambivalent about X-Men. My review will be Friday, so you'll have to catch it later. Congratulations to all the "You Rock" award winners! I've heard a few people say the new X-men was amazing. Definitely making me think I need to see it in theaters. Great You Rock Award winners. I'll definitely see the new X-Men movie. I enjoyed the last one. 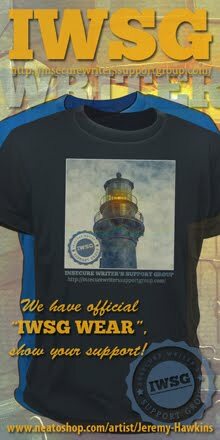 Isn't June 4th the IWSG for next month? I haven't done much this weekend, though I got a lot of walking done, as well as some drawing. Congrats to all the recipients of the You Rock awards! What a wonderful bunch! AND YES, I WANT TO SEE X-MEN SO BADLY!!! Are you going to do a review of Maleficent as well? Wow, you are an amazing friend writing these wonderful things about your friends who received (very well deserved! :) the you rock award! Have an amazing, relaxed vacation! I can't wait to see the new X-men movie! Hoping to see X-men next Tuesday, looking forward to it more now! I was worried about the new X-Men movie because Bryan Singer hasn't had the best track record since leaving the franchise. So, this is refreshing to hear. Congrats to the winners, I'll have to check them out. Xmen does look pretty good, hope it lives up to the hype. Hope you have a great vacation, Alex! I loved the new X-Men movie. I could take many more of those. Good picks for "You Rock". I know that Tina and Damyanti are indispensable when it comes to rocking A to Z.
I'm at home for Memorial Day. Gosh, it's like most of my days. Congrats to all the winners of the 'You Rock' award, some deserving winners there. Have a great vacation and enjoy your writing time. Congratulations, Karen, Damyanti, Elizabeth, Edi, Suze, and Tina! It's great that you do this, Alex. I enjoyed learning more about these wonderful folks, and I'm going to make sure I'm following them all. I hope you're gearing up for a great, productive and relaxing getaway. Medeia, you'll like this one even more. Carrie-Anne, you're right - I just fixed that. Birgit, skip the second Wolverine movie - it was awful and not needed. SC, not sure I'll have time to see it this weekend. Robyn, you are one of those who rock. Alex, I wasn't going to see the X-men movie because I was so disappointed with the last one but I'm glad you gave it such a good review, now I'll go see it. I hope you get a lot of writing done on holiday. Author etiquette online. Must check that out, thank you very much and I shall offer you the soup first. Shall keep this brief Thanks for all the announcements. Sir Poops and Hair Ball love you. Congrats on getting Bonefied. They folks certainly do Rock and all part of the ideals of a sharing, caring community. A peaceful, reflective rest of your Memorial Day weekend to you and all our American friends. Lots of good news - thanks for sharing. :) Congrats to the You Rock winners! Hope your weekend has been great! Congrats to the winners and have fun on your vacation!! 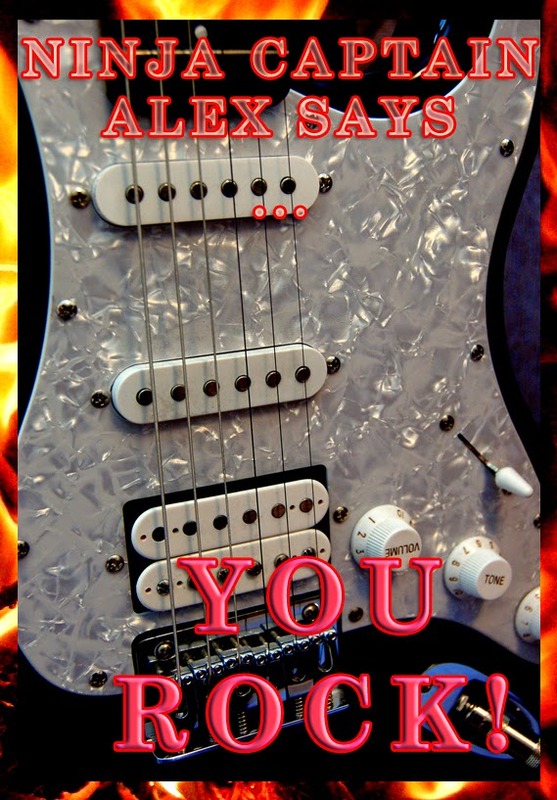 Congratulations to the rockers you selected - and to all of the authors you featured. Have a wonderful mini vacation. Clarissa, I think you will enjoy it on spectacle alone. Gary, I'll take two soups! I'm glad they brought Bryan Singer back. We can finally see what direction the movies were really supposed to go in. What a movie! I can tell it is a good movie when I do not leave for the bath room. "they have completely rebooted the series." and then some. Great choices - I don't know them all (yet) but I adore Karen, Elizabeth and Damyanti! Yeah, looking forward to that new X-Men. Hopefully it delivers. I'm excited to see X-Men but I need to have an X-Men marathon first and caught up since I have only seen the first two or three and that was too long ago. Congrats to those on the "You Rock" list. Thanks for the review too! Will have to check it out. JE, and he did good! Susan, I didn't want to miss anything either. Jack, skip the last Wolverine movie - not needed and it was awful. Cindy! Good to hear from you. It's great to be acquainted with the Rock Winners.Thanks for the array of active and successful writers you've provided Alex. There's a treasure trove of blogs one can follow! X-Men is one of the few movies that gets better each movie. Maybe that's because Hugh Jackman gets better with age, hahahah. Congrats to the award winners. My children saw the movie and all gave it terrific reviews. Will probably see it soon. Enjoy your time off. They gave us all Days of Future Past hats where I work.. one more collectible to add alongside my Man of Steel hat, haha. You selected some awesome bloggers for the award this year! I hope you have a great vacation! Enjoy your vacation. I loved the picks for cool movie spaceships. Glad to see Red Dwarf in there, but I really hoped to see Nostromo from Alien in the list! I've heard good things about the latest X-Men flick, and though I don't see a lot of the sci-fi or action hero ones, I've really enjoyed the X-Men. Since you too recommend it so highly, I'll definitely be seeing it. Your You Rock recipients sound awesome. Congrats to them all. I'll be checking out their blogs. I hope that Sia and Shelly's husband are both doing well. Congratulations on your award, Alex! Glad you enjoyed the new X-Men movie. Congrats also go out to the recipients of the You Rock award! Have a great trip, Alex! I can't wait to see X-men, I didn't know Quicksilver was in it. Awesome! Great to see Suze with the rocking award. She so deserves it and more. I'm looking forward to seeing X-Men now. I wasn't in an enormous hurry before your review, but now I'm more than interested. Woot. Thanks for doing the You Rock! awards - and congrats to the winners. Hank, there are some special bloggers here. Botanist, true - that one was missing. Elise, he is, and in the funniest scene. I'm jealous - as usual. Dying to see the X-men movie, but that won't happen until it's on TV. Sigh. The joys of being a stay-at-home mom with a hubs who won't take her on a date. Okay, now I know what we're doing on date night tonight. That movie sounds awesome. So neat to see all the "You Rock" recipients. I have always loved Suze's blog. I need to catch up on the X-Men movies! Prayers to Shelley and her hubby. My daughter and hubby will be seeing X-Men this weekend. I'm saving my movie visit for Neighbors. That looks really funny. Congrats to all the You Rock winners!! If Alex picks you, you know you've made it!! I sooo wanted to see the X-Men movie, but my sister insisted on seeing Million Dollar Arm(which I report was actually good) Congrats to all the new releases and those who received Captain Ninja awards. Have a nice vacation you deserve it. I need to try to see it this weekend! There was an X-Men marathon on Sunday, too, and it made me want to see it even more! Have this X-Men on my summer must see list. I'm waiting for my son to have time to see it with me. We're the only ones in the family who <B the mutants. Congrats to all the You Rock recipients! I got to know several of them well during the A to Z this year. 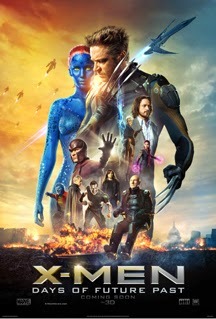 I can't wait to watch the new X-Men movie! Yes! All of those recipients are well deserving. We saw X-men too, and wow! Were those battle sequences epic or what? I love the blog of Lynda Young! Congrats to the award winners...all deserving!! Best of luck to the new releases/ Prayers for Shelley. Seriously, the quick Silver part was good, but in comparison to a naked wolverine? Boring. Can you believe my hubs covered my eyes? Spoil sport. No worries, we'll be getting the DVD. Wow. I'm not even a fan of X-Men movies and your review had me wanting to see it! Congrats to all the You Rock winners. Plus, thanks for giving me great new blogs to check out! Enjoy your vacation. Hope you find a lot of time to write. What a great group for the YOU ROCK awards! I like them all! I'm going to try and go to the Drive-In to see X-men. Not sure I can make it happen but we will see. Awesome new covers, everyone. They look great. Congratulations to all the You Rock awardees. You are such a generous leader, Alex. You bring the best out in all of us. Such deserving people for the You Rock award! Glad to hear the new X-men movie was good! You picked some more awesome award winners this year, Alex. Some I already know, and the others I'm heading off to visit. Excellent bloggers to highlight. I already follow most of them! I wonder if my boys are ready for the next X-Men? Looking forward to the new X-Men film, although I've got to admit I only saw the last one last week!!!! Great picks for the award! HOpe you enjoyed your long weekend! Congrats to the You Rock awardees! And thanks for your review of X-Men. I've been dying to watch it! Terri, tell your husband you need a date night! Debra, which means you're caught up - go and enjoy. Crystal, I'm just as biased. Thanks, everyone! Ready for a break. You totally rocked those "You Rock" awards. Great choices! I second what you said about Nancy's book "Leverage"... it's a terrific edge-of-your-seat kinda book. Great post Alex and Captain America: Winter Soldier is the best superhero film of the year so I can't wait to see X-Men! Have a great vacation! X-Men looks like so much fun. I probably won't get to see it in the theaters though. Grats to the You Rock! recipients. I'll admit I've only met Damyanti out of the people you featured, but I'm going to visit the others now! You Rock! Enjoy your vacay Alex. I can't wait to see this X-Men movie but I'm hoping to get my new glasses first. Congrats rockers! Will pray for Shelly's hubby, LK's cover is on fire! It rocks so hard, and congrats Nancy on your sequel. Happy to be back. Can't wait to see X-Men: Days of Future Past this weekend. It looks awesome. Congratulations to the people who received the award. I need to get back into IWSG sometime again. Great tips over at IWSG. Great review of the new X-men; thanks for not giving too much away. Must see that soon. The new releases look good and thanks for shaing the coupon for Exile. I didn't know what the you rock awards was, but it's pretty cool. Awesome selections for the YOU ROCK awards. Edi is the only one I wasn't familiar with. X-Men was great, but I still score Captain America slightly better. Susan, she's an amazing writer. Johanna, X-Men was definitely better. Lisa, haven't seen that one yet. wow, so many great books and so little time !!! the list keeps growing! I love love love superhero movies. But I can't stand X-Men. I think the characters seem like the actors in costumes. Not believable to me. Congrats to all the winners of the "You Rock" award! I never got into the X-Men. Awesome to see the You Rock recipients. I look forward to checking out the blogs I don't already visit. :) Congrats to all! So glad to hear that the new X-Men movie is so good. I haven't seen it yet. Looks like we have some great books entering the world this week! Congrats to all the You Rock winners. Loved the top 10 space ships too. Glad Enterprise tops the list. I'm so far behind in my blogging and commenting . .
Congrats to the "You Rock" award recipients! I wasn't sure if I wanted to see the new X-Men film but now I think I do! Congrats to Nancy, Pat and LK. Wishing them much success! Congrats to Tina, Damyanti, Edi, Suze, Karen, and Elizabeth. They do indeed rock! I'm glad X-Men was great, looking forward to seeing it. Great choices for the You Rock Award! don't stone me but I'm not chomping at the bit for X-Men. ain't that into it... and congrats to all that rock. especially my little Suze!! Congrats to all the you rock recipients! I haven't seen the new X-Men yet. I'm a bit behind in seeing all the movies so I need to have an X-Men weekend. Congrats to all the winners, I know Damyanti's work, and she so deserves it. Planning to watch the film this weekend. Just saw XMen movie last night. What can I say?....In one word...excellent! The best XMen movie ever! Congrats to all the authors highlighted with new releases and those chosen for the "You Rock Award!" I don't know most of the people you highlighted, so I really need to come back here after work and check out their blogs! Thanks, Alex! Jamie, that sounds just as cool! Donna, I was glad to see Enterprise on top as well. 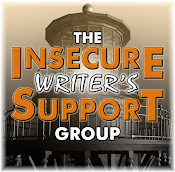 Great post at IWSG. I haven't seen either of those movies...must get on it! Congrats to the winners of the awards--well deserved! Congrats to all the You Rock winners! Looking forward to the new X-Men, so I'm glad you gave it the thumbs up. I have a real soft spot for the X Men because my boys were really into them! And I'm happy to hear that you really liked this film. Leverage looks excellent. I think I need to pick it up because Mistaken was so good. I too enjoyed X-Men. What a reboot, eh? Congrats to all the new members!!! I will come by and see your post! I lost my badge when my son tried to change my blog. I thought I had backed it up...I will mention you and the new members in a post. Oh looks like you chose some very deserving blogging buddies. New friends for me to meet. Kristin, I hope you do! Ella, I bet he will dig it. I will send you the badge again! I can't wait to see the new X-Men. Great review of the new X-Men movie. 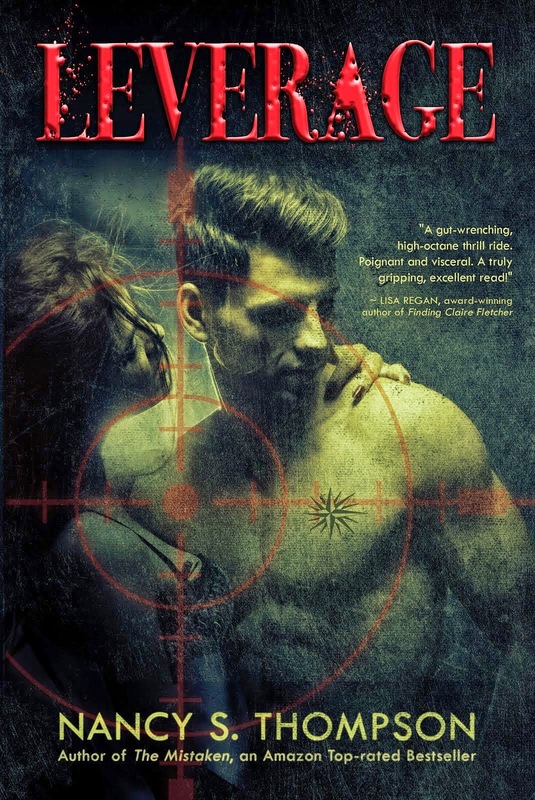 I love the cover for Leverage. It's got that old paperback feel. Congrats to all the rockin' buddies. Congrats to the You Rock recipients! I'm so far behind on movies. Those folks do rock. Congrats to them all. Husband Unit will be glad to hear that about X Men. I enjoyed X-men, too. Fassbender did a fantastic job as Magneto (again) as well as everyone else from the First Class generation. I'm of two minds regarding the way things reboot. On the one hand, I think I'd prefer some recasting of some of the previous characters, but on the other, thank goodness the errors made in the past by the franchise itself have been corrected! been hearing great things about X-men...not a huge movie person but I'll have to check it out! I saw "DOFP" on opening night, very good movie. My only complaint is that they put so many cool characters into it, and most of them had no lines and no plot significance. All those X-Men in the future, known and new, hardly mattered. Ah, well. Still really worth seeing, and I'm definitely looking forward to the next one. Amalia, very true. They have a clean slate with the same characters and can do it better now. I really loved Quicksilver's scenes. Evan Peters stole the movie. Overall I enjoyed the film, but I was a little tired of the Mystique storyline. Congrats to the winners of The Rock Award! So awesome! And I am dying to see the X-Men movie. Hearing the best things about it! Hope you have a great holiday and enjoy being "unplugged". Some excellent picks for the You Rock Award. I'm proud to see some good friends among them. Quite a diverse list of book releases! Congrats to them! MsMariah, I guess they had to give her a lot since she's a big star now. Nick, I am looking forward to it. Have a great long-weekend getaway! Damyanti at Delightful Daily (w) rite! My work weekend from Hades kept me from noticing you had posted. Sorry. I loved the video of the best 10 starships though I disagreed with some of the placements! That's what makes horse races, right? I also loved DAYS OF FUTURE PAST. It does totally reboot the franchise -- giving Logan perhaps another shot at Jean Grey. And AVENGERS II has been given a challenge to make their Quicksilver as funny and interesting as the X-MEN's version. I tried the couple days away of not really a vacation but just to get away from it all which ended in a total fail. Hope your time away is much better! Congrats to the winners of the award! Congratulations to the You Rockers! Congrats this year recipients!!!! You guys DO ROCK! Congrats to Nancy, Pat, LK, and Kat! ALL the best! I could never get my bride to see X-Men, but my son saw it and enjoyed it quite a bit. Guess I've got to go and see it for myself! I'm please that I know several of your "You Rock" recipients. I'll have to go meet the others. X-Men is on my very very short list to see. I like the new X-Men a lot. I still put it behind The Winter Soldier, but it was still very good. And awesome look at the blogger buddies. Great job. Alex, my friend...how are ya doing? It's been a long time I know, but I am back to blogging and wanted to stop by and say hello and how are ya! Hope to see you around the blog-o-sphere my friend. Blessings to you and your. Have an awesome vacation, Alex. You deserve it! Weekend from Hades - Roland, sorry, although that did make me chuckle. Yes, Avengers will be hard pressed to make their Quicksilver as entertaining. Michael, that's great news! You two go enjoy the movie. Rusty, just behind it though. Shannon, so good to see you back. X-Men was great! LOVE the Quicksilver scene :) I agree they've done a big reboot - since at the end they've changed the past and present, they can go in so many interesting directions with the characters. Hi Alex .. great list of wonderful bloggers all .. and those who rock .. you have an amazing bunch around you ... and that helps us all so much .. So pleased to note Melissa is improving rapidly and she and Michael are meeting up .. While it's good to know about Kat's book .. as she was a very good blogger for Sia as her shoulder healed ..
Lanise had a very creative idea for the A-Z challenge. I wouldn't have thought of it but as a book lover it definitely intrigues me. Hope you enjoy your vacation Alex. Enjoy your much needed vaca! See you back next week. Have a wonderful vacation Alex. Enjoy your down time. Also- great choices for the awards. All are well deserved. Congratulations to the excellent winners of the "You Rock!" award! And yes, X-men was awesome!!! Congrats to ALL the recipients of the YOU ROCK award! I know a couple of them but the others I shall visit this weekend. Not to mention some great actors :) I'll have to see the Xmen movie, it does look great. I've been way out of the loop on blogging, but I did see X-Men. I grew up reading the comics and loved the movie. Bishop was one of my favorites and I thought he was portrayed perfectly. The plot was great, and of course Quicksilver was awesome. This is very kind of you to share "You Rock" awards with your followers. And the candidates are very lucky to have you take the time to show your appreciation for them=) Thanks for the heads up for the new X-Men. I've been hearing nothing but good reviews and will be looking forward to seeing it next weekend when the theatres aren't as crowded! Well, they probably will still be crowded so maybe a Matinee! Have a wonderful weekend. Wow! What an action packed and celebrity filled post. WHere to begin? Although I collected all Marvel comics as a kid, the X-Men was one of the few I just didn't get. But I've heard so much of this new flick I will definitely watch it in the next week or so. Congrats! to all the "You Rock" recipients. I can truly say this means so much to receive this award. It's the small things in life that often mean the most! And enjoy your time off Alex! I'm enjoying mine, although I will come out of my cave and post this coming Monday and Wednesday due to previous committments. We caught X-Men during staycation. Congrats to everyone who ROCKS! :) And everyone who's launching. !! I can't wait to see the movie, as the last one was my favourite by far and this sounds even better. I do foresee a WOW moment. im glad xmen is so good, we need an awesome theater experience! I dropped by to say hello! I have been absent from blogging for a while, and I did miss your posts. It’s good to be back. Well, of course you know my top spaceship list. :) And I've been hearing SUCH great things about the X-Men. I really need to see it!! We enjoyed XMEN as well, right up there with the latest WOLVERINE. I see Serenity is included with those fine ships -- definitely a winner. And a well-deserved congratulations to all the rockers. I absolutely want to see this one, even though I'm not usually a one for the "summer blockbuster." Great choices for rocking blogs! Elizabeth Spann Craig is one of the most useful bloggers around. I really liked the X-Men movie. It was clever, and I'm excited to see what they do with it now that it's wide open. I hope you are enjoying your vacation without internet as much as I did, although catching up on reading will take a while now. My daughter is the X-men fan around here. Some great bloggers you featured, and a few new ones to add to my list. I haven't seen the new Xmen, but now I want to see it even more! Congrats to the You Rock recipients! Lots of writing got done over Memorial Day...it was a fantastic weekend.